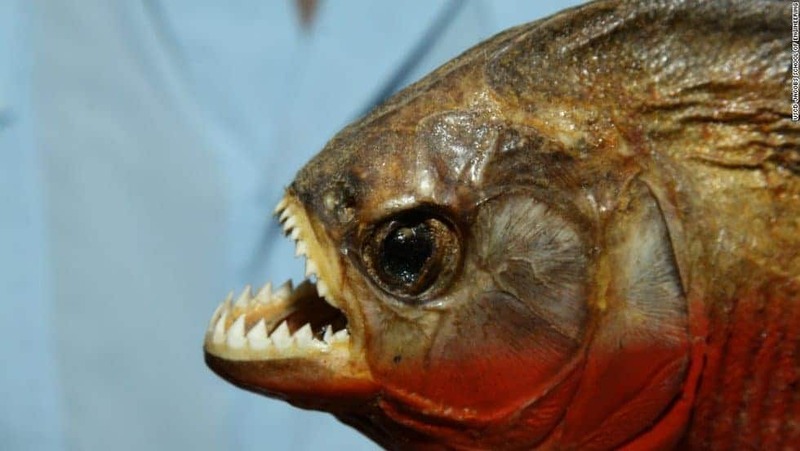 Despite running rampant in South America, people thought it was a good idea to introduce the vicious fish to North America, Central America, and Hawaii, of all places. 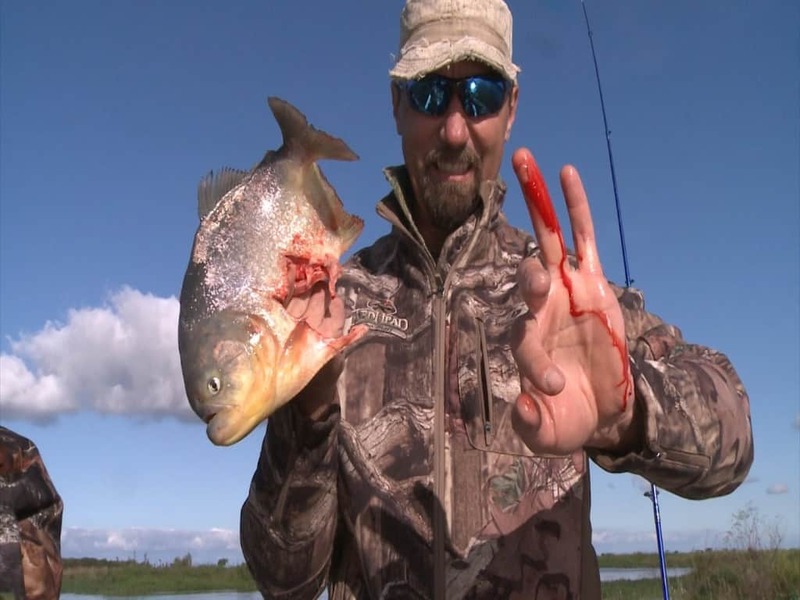 Believe it or not, piranhas don’t just feast on meat and flesh. They are omnivores, which means they also consume plants, too. 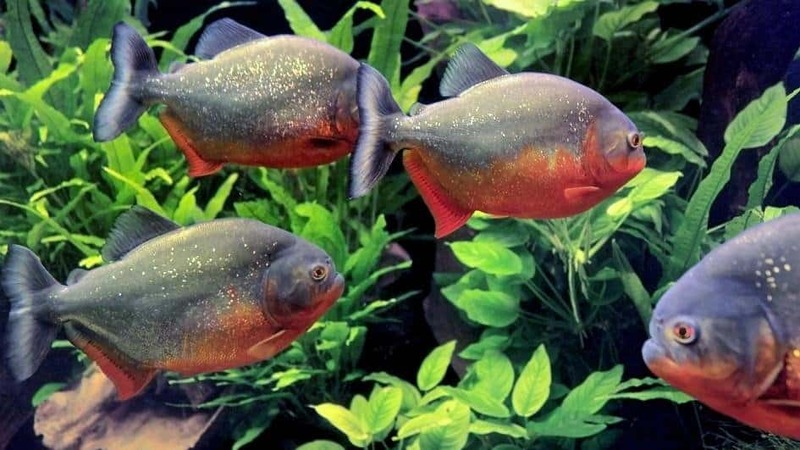 Scientists know a lot about piranhas, but not every member of the species have been identified by the world yet. 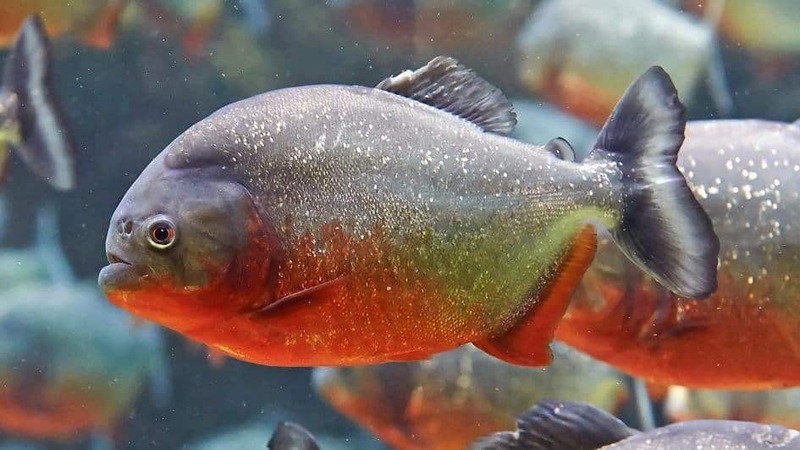 Piranhas are not just dull browns in color, they also come in everything from yellow to green, blue to gray, and sometimes even red. 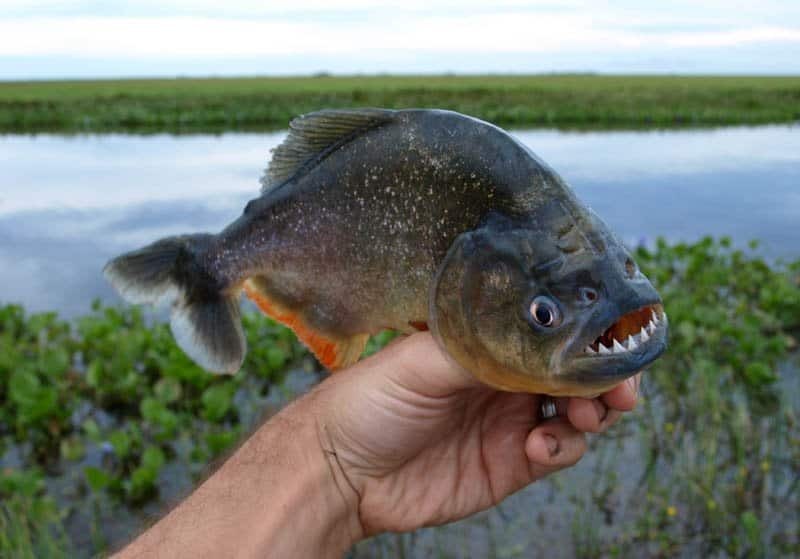 The piranha is not a very big fish in many cases. They usually measure from 6 to 10 inches in length, which can still be scary enough. 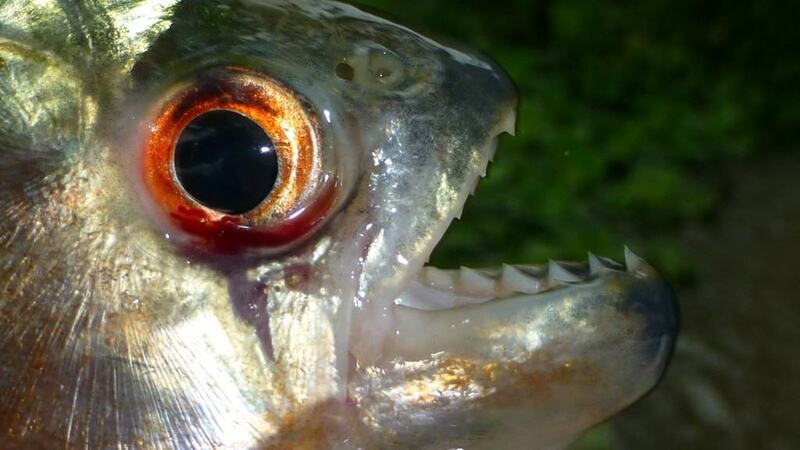 Piranha have long sharp teeth, but you should know their teeth just grow back into their mouths after they lose them. It never ends. 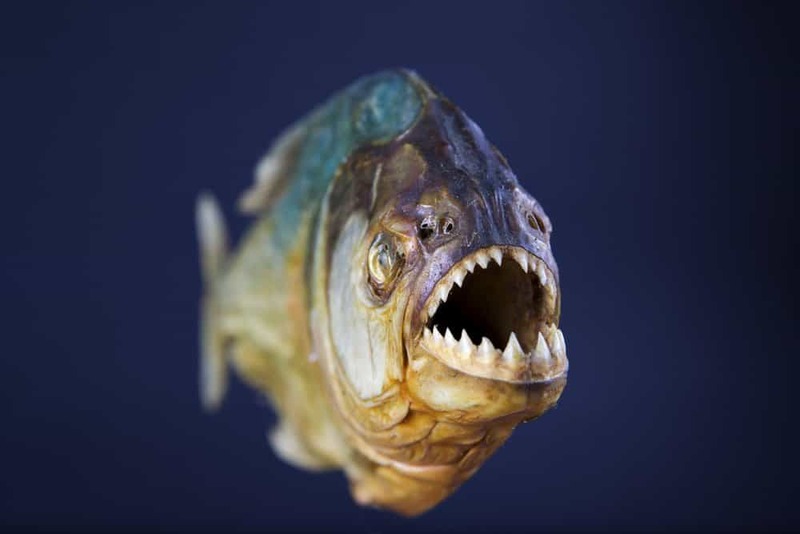 As we previously mentioned, the piranha is an omnivore. 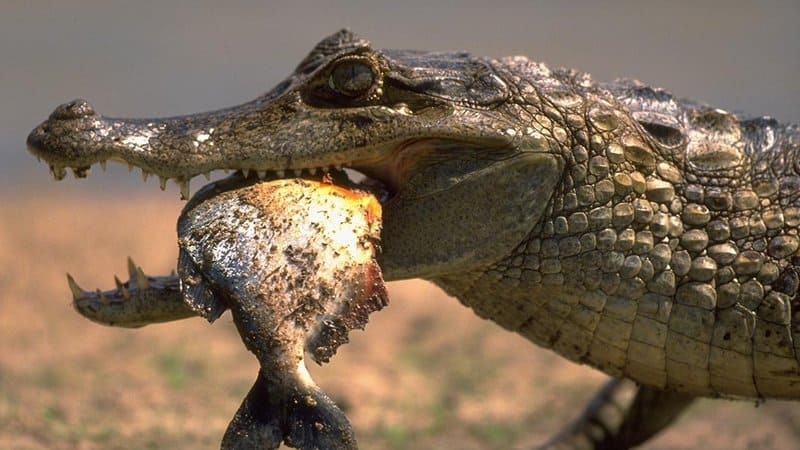 They tend to feed on mollusks, insects, birds, lizards, and the carcasses of other animals, in terms of meat. 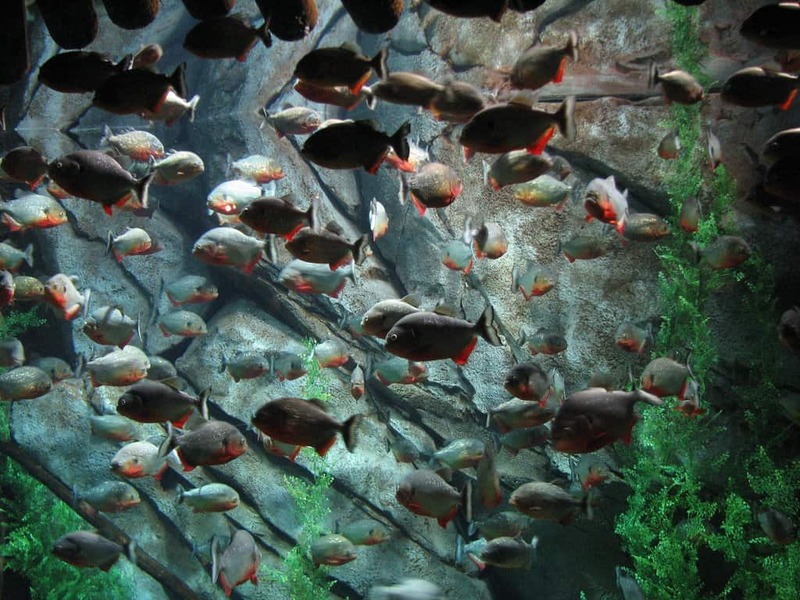 Just like sharks, the piranha can sometimes become involved in a feeding frenzy when they are together. 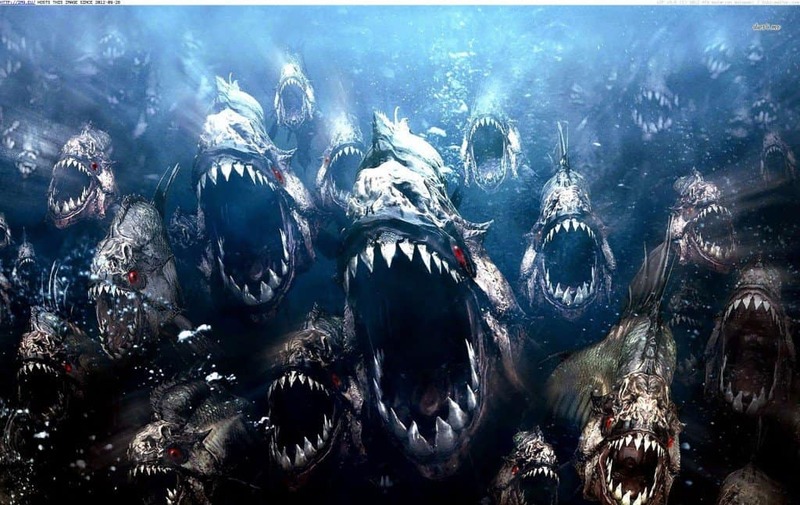 This usually happens when the pack comes across a school of fish.